Our DIY pallet coffee table and pallet benches are finished! So happy to finally share with you the free building plans of these easy DIY pallet outdoor furniture! The unique pallet table and benches are made from reclaimed pallet wood, a modular metal shelving unit, and a material that’s locally abundant – beach pebbles. We love the blend of rustic pallet wood, fresh colors, simple clean lines, and a touch of industrial gabion ( a cage filled with rocks or concrete, for use in civil engineering, road building, etc) ! 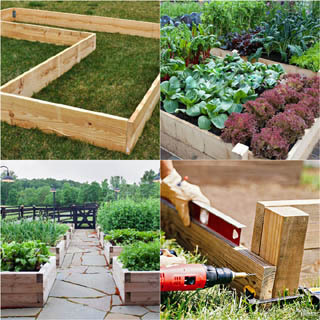 To build any pallet furniture, the first step is to find quality pallets. Not all pallets are made equal. After building so many pallet projects, we have realized that the right pallets will make your project a lot easier! 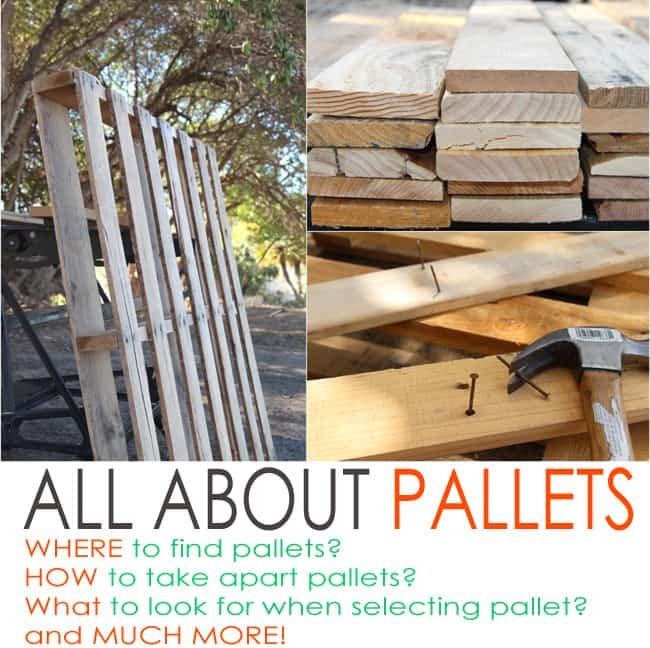 Here’s a detailed guide All About Pallets: where to find, how to select and take apart pallets! 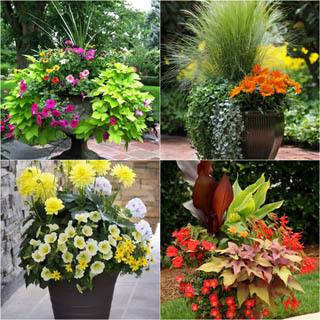 ( Some of the helpful resources are affiliate links. Full disclosure here. ) Below is our favorite tool to use when taking apart pallets: a Duckbill Deck Wrecker we got on Amazon , love it! 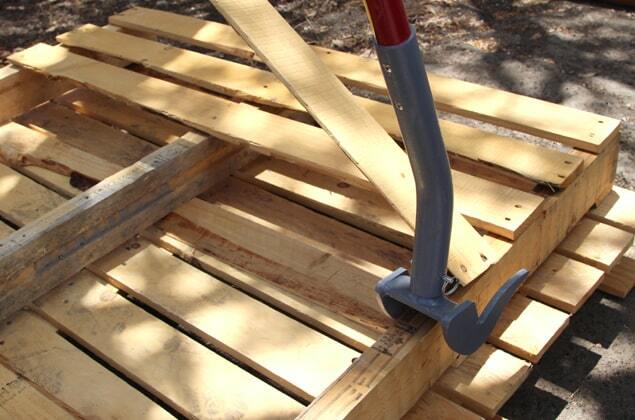 Pallets, and tools to dissemble pallets: our favorite method is with this tool – a Duckbill Deck Wrecker we got on Amazon. 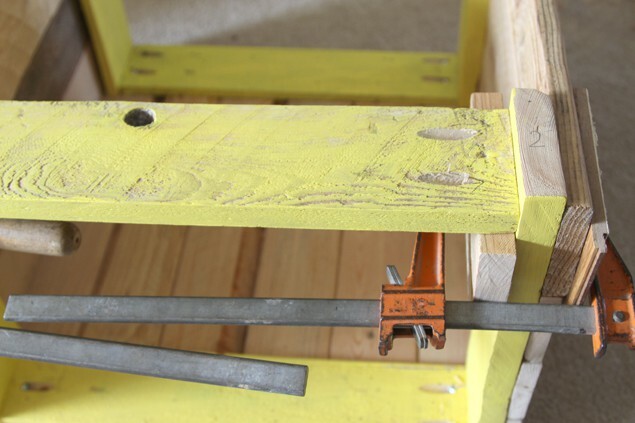 This tool lifts those boards easily, and you can take out the nails with a hammer. Kreg Jig K4 Pocket Hole System and Kreg screws. The Kreg jig is super useful and easy to use for creating very strong joints. 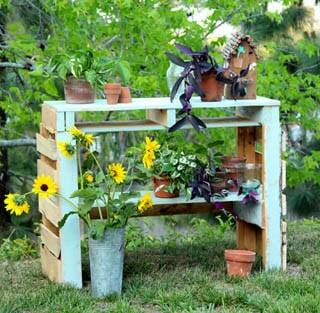 How to build a simple pallet bench. 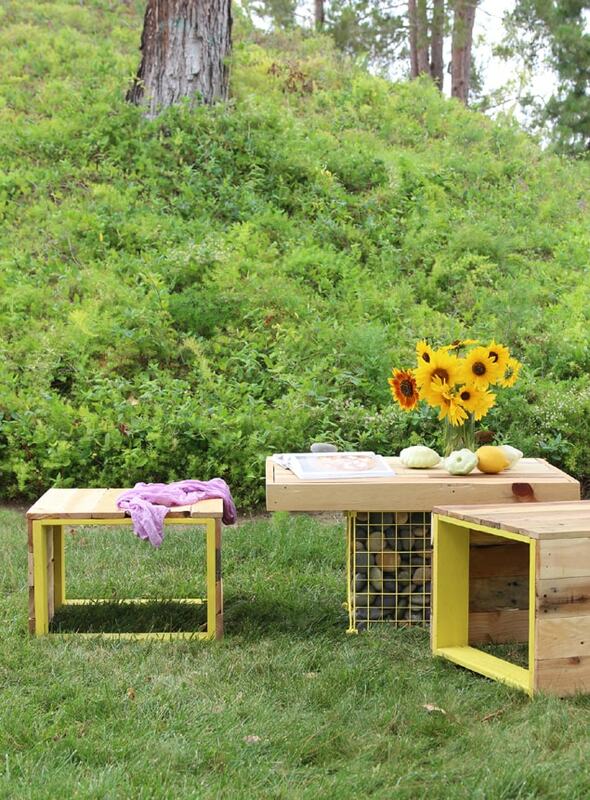 For the DIY pallet bench top ( and table top ), select board of the same thickness. 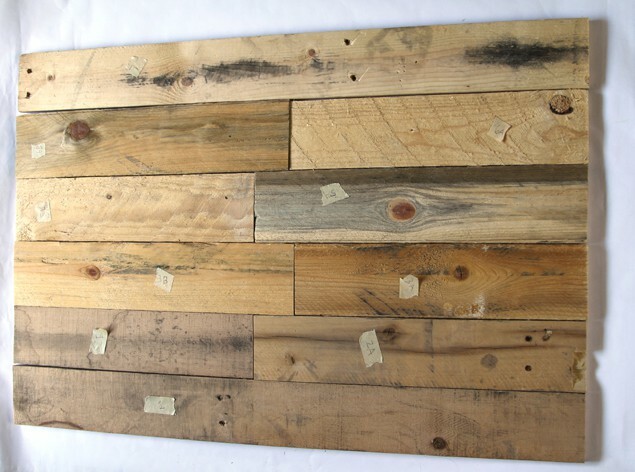 Although most boards on pallets are either 3.5″ or 5.5″ wide, the thickness can vary from 0.5″ to 0.8″. The sides of the benches can have more variations. 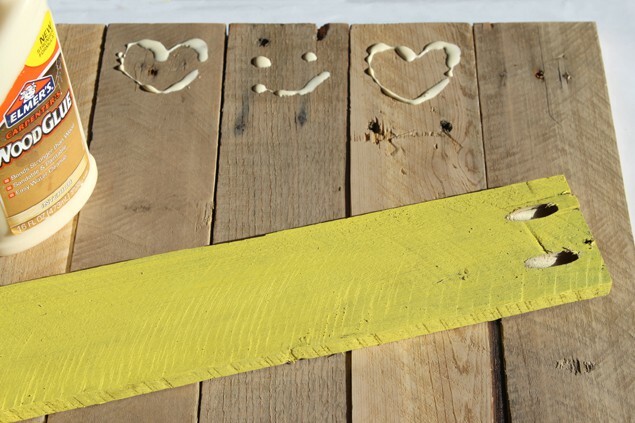 After all the pieces are cut and sanded, we painted the frames of the pallet benches a happy lemon yellow. 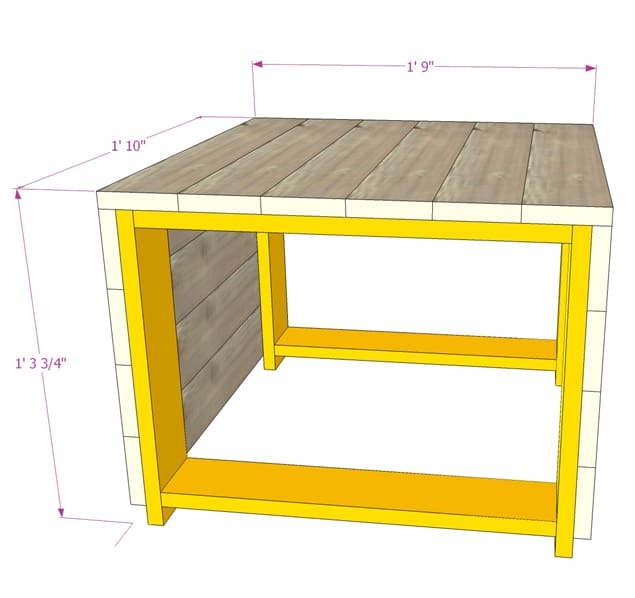 Next, drill pocket holes in the pieces the needs them, such as the bracing pieces under the pallet table top and the pallet bench top, and the frame around the table top. As you can see we need a lot of pieces of the same length. 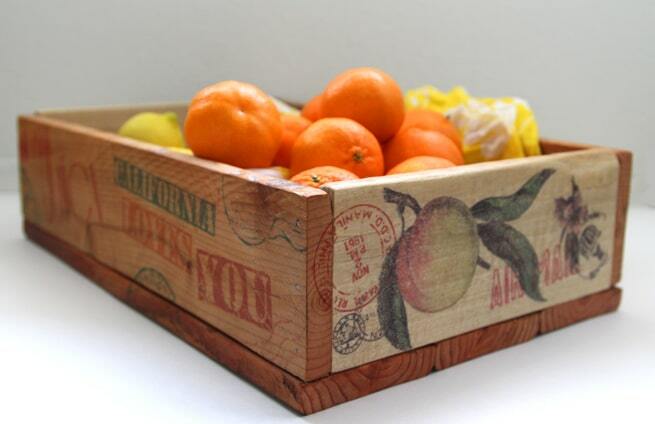 Even though pallet wood is quite irregular, we still want the cuts to be as clean and square as possible. This jig worked great. See below. 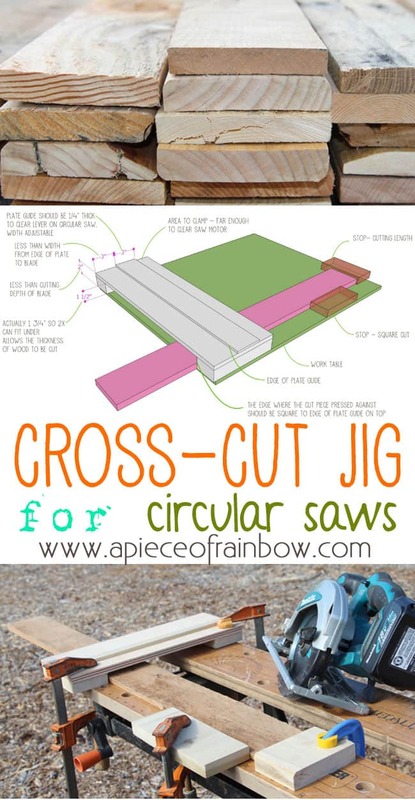 We used 1/4″ and 1/2″ plywood, and finished wood 1Xs to make the jig, after cutting the pieces using a straight edge guide which came with the circular saw, we glued the pieces together. This jig is made for our Makita circular saw, and cuts pieces under 1.5″ thick. It very simple to make, but there are lot of considerations from blade cutting depth, to clearances on several parts of the saw when it slide along the guide. 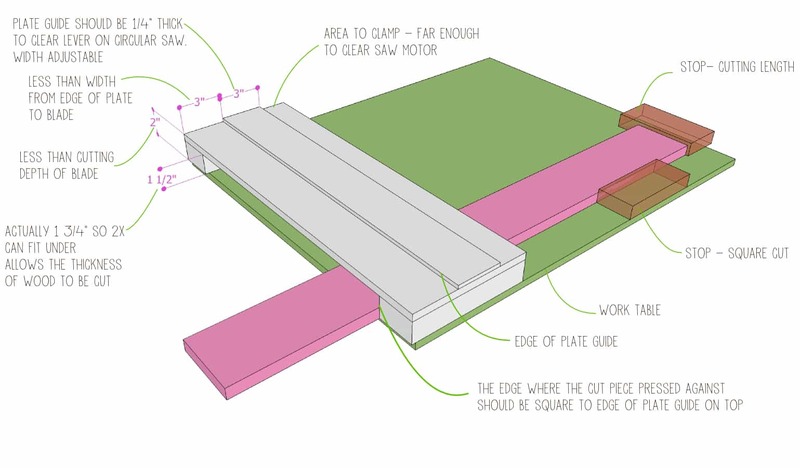 Please refer to the diagram here (right click and save if you want to print it out) which explains the design considerations for a jig that will work for your saw. How to build an unique pallet coffee table. 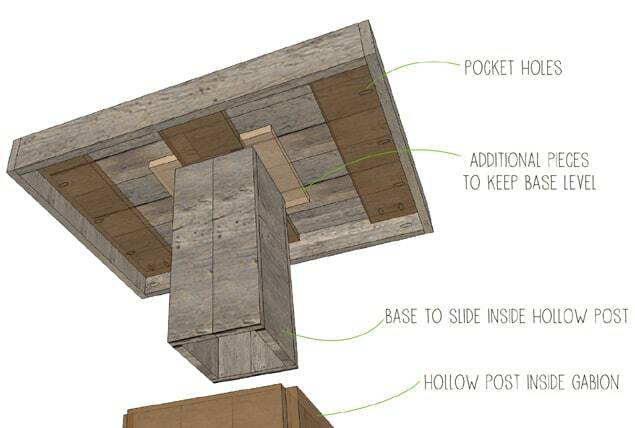 The hollow post that the pallet coffee table top fit into will be secured inside the gabion. 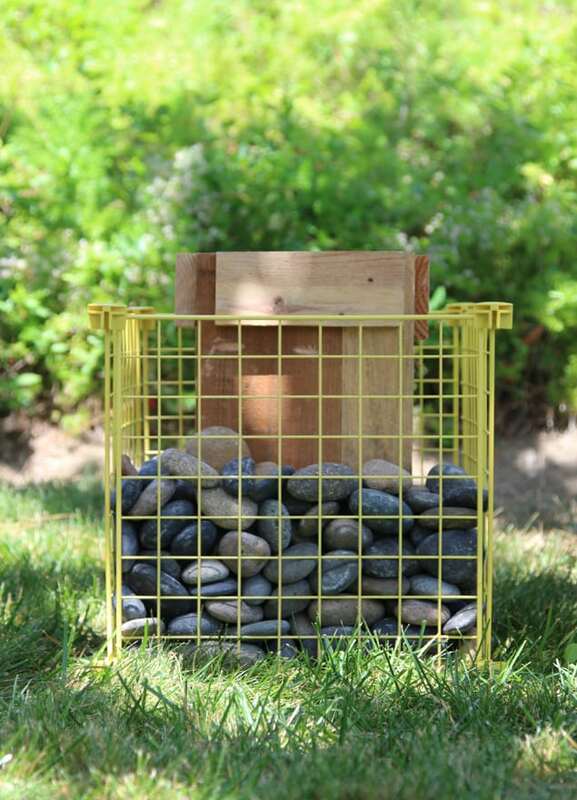 Because the gabion cage in this case is 15″x15″x15″, the post needs to be a size that fits inside and still leave room for the pebbles / rocks, which are not just decorative, but more importantly – they contribute to a strong base. 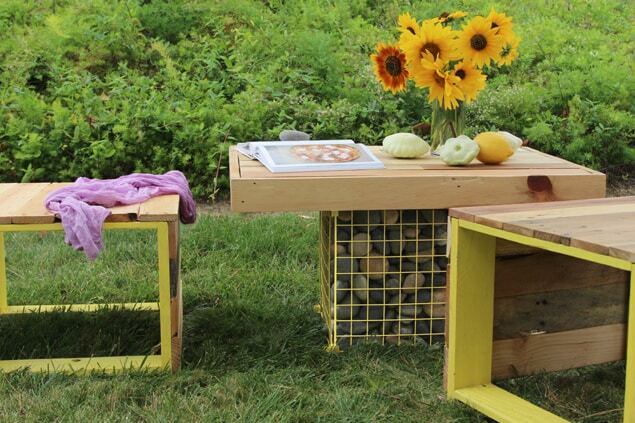 The base of the pallet coffee table slides into a hollow post stabilized by the metal cages filled with rock / pebbles. When making the base and the post, the most important thing to remember is that they should be the same height, and fit snugly. 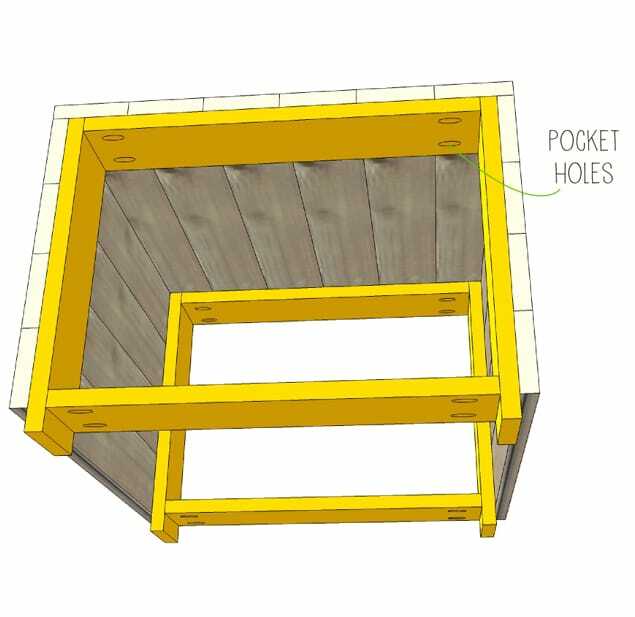 The dimensions shown in the diagram is adjustable depending on the size of your metal cage and the size of wood you are using. We made them with vertical boards joined together by horizontal braces, and pocket hole screws at right angles. There are about 2″ to 3″ of spacing all the way around between the cage and post for the pebbles. And that took 50lbs of pebbles to fill! 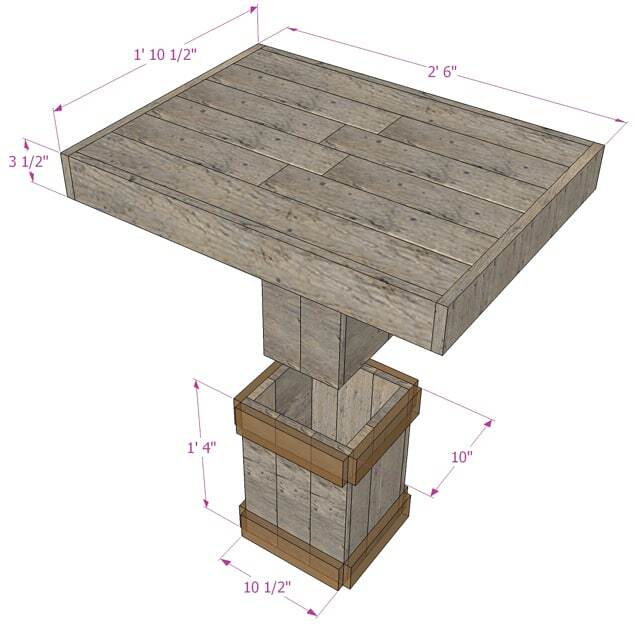 To make the tabletop, arrange the measured and cut boards in a way that accentuate the variations of the pallet wood, attache back brace pieces with glue or nails, then attach the frame all around the 4 sides with pocket hole screws. 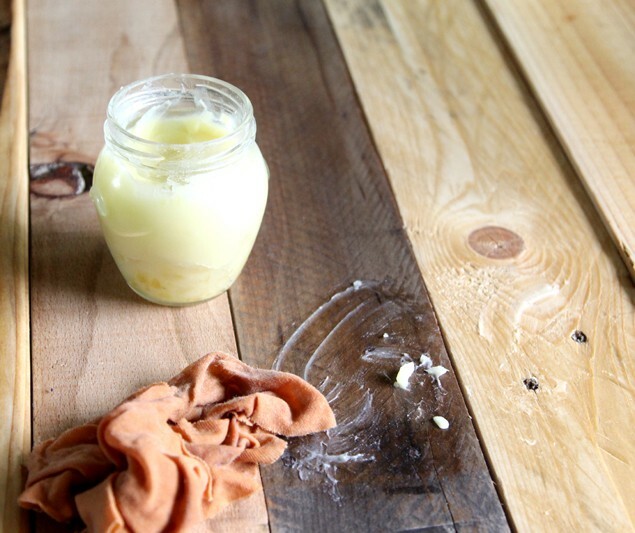 We applied a finishing wax mentioned also in the pallet wood crates project – apply a generous amount onto the wood surface, and enjoy the delicious honey smell on your pallet furniture! 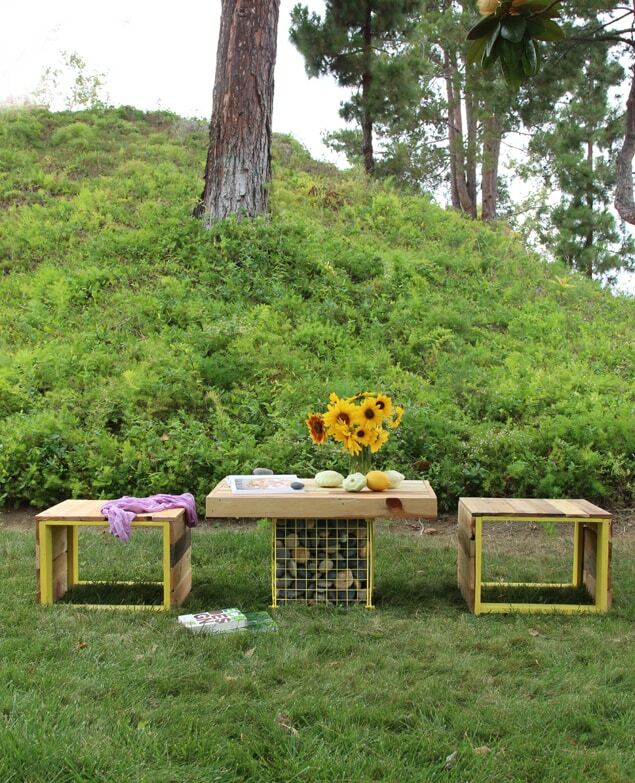 To assemble the pallet coffee table, collect some pebbles or rocks from your mountains and rivers nearby. We used beach pebbles, which make us think of the ocean. Center the hollow post inside the metal wire cage, fill pebbles all around the post to the top. 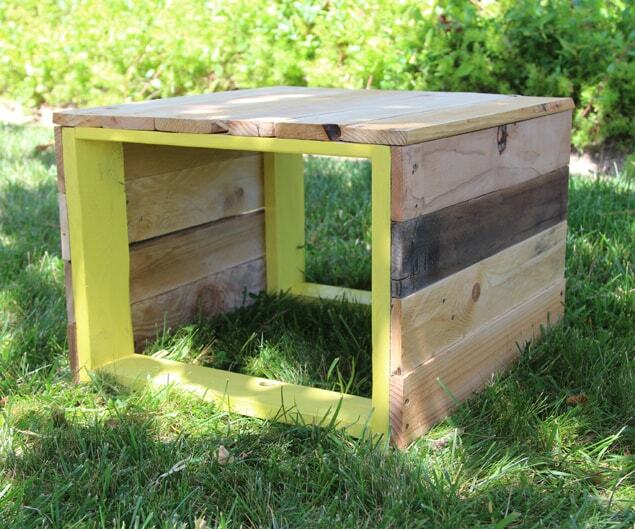 Slide the pallet coffee table base inside the post. The pebbles heavy weight hold the post and table in place, and create a strong and sturdy base. Now we can sit in the garden and enjoy a nice book outdoors accompanied by bird songs! 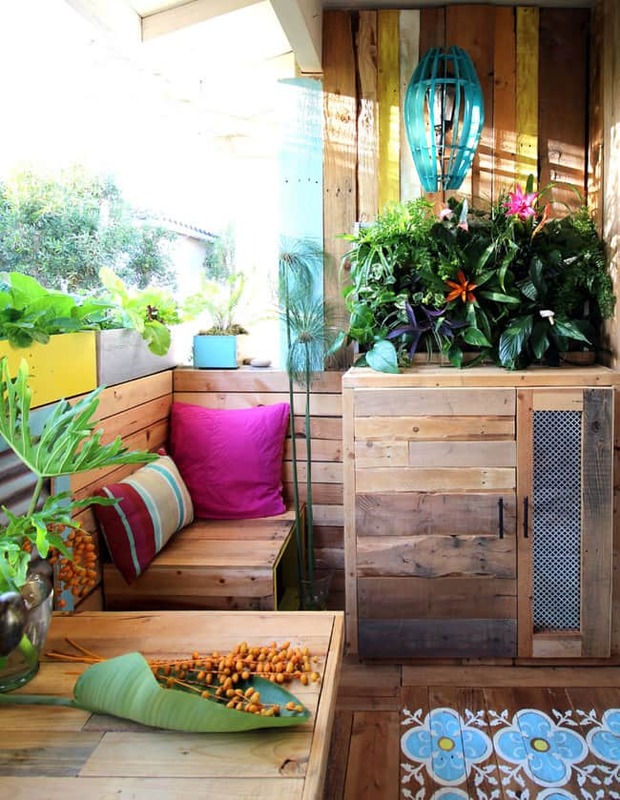 Update: Now the furniture is part of this: We turned a rental patio into a beautiful pallet outdoor room! 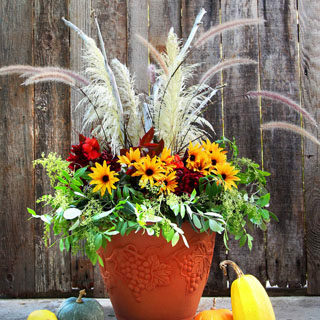 Would look great on our patio! Beautiful! I LOVE your Renter’s Tropical Remodel…….The only thing that you didn’t mention how to make was that cubboard looking item……Do you have the directions for that??? 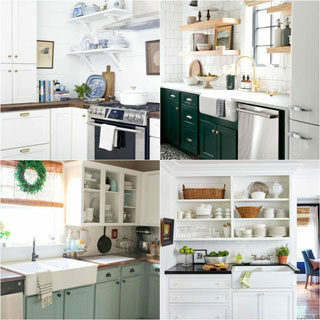 Would love to be able to make that too !!!!! Can you add the directions for that on your website ??? PLEASE !!! GREAT tutorial! 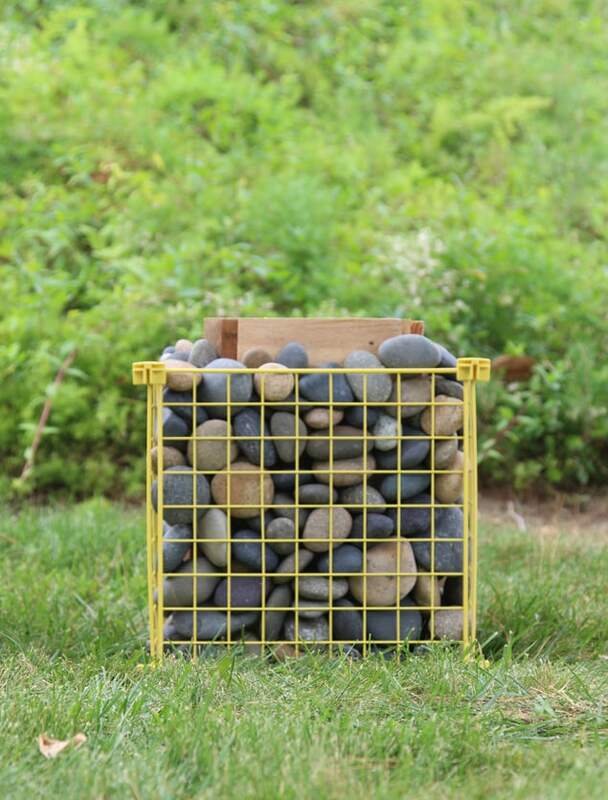 I didn’t know what a gabion table is, but I absolutely LOVE it! I’m loving the rocks – it’s such a cute set! Swoon! Great tutorial. Your seating and table came out really nice. Would love if you shared this on the Merry Monday Linky Party. Wow Ananda, these look incredible, you really are so talented, I absolutely love them! Again I love your creativity, and how you come up with these great ideas. I also love your final picture–the setting is perfect–great job! Happy 4th of July. 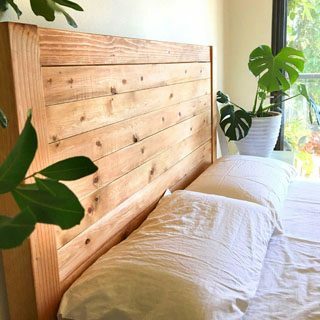 With or without pallet wood these pieces would look great. Nice job and great design. That is so creative! I’m so impressed! thank you laurel for visiting ! I love these so much! How creative! You did a fantastic job! Fantastic! Where did you get/find the gabion? I’ve had such a hard time finding any that aren’t from specialty stores online and are crazy expensive. thank you Melissa ! this was a hand me down, but someone tole me they saw similar ones at target or walmart. 🙂 I am also posting a little improvement – add more strength to the gaboon by tying some fishing line On the sides! 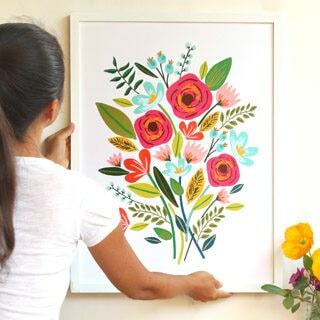 I love this and thanks for sharing the detailed steps to make it, too! I love the creativity in the table and bench – it is something unique and different compared to other pallet wood benches I have seen around – great work! Great work ananda, I am trying to do almost the same thing. Will you please tell me from where you have collected the stones? Amazon? It’s kinda pricey for me. Is there any other place to get those? can’t remotely compare to Steve, 🙂 you are very kind! Wow! You are so talented! I’m really loving this as a fun summer project. What a beautiful and creative thing shows in this blog.I really loved it.Thanks for sharing. Great Work Ananda! many thanks for sharing your wonderful thought with us. love your blog and bookmarked it. This is a fantastic post, great instructions Ananda! My wife and I would love to build something like this, as we’re currently planning on living off-grid somewhere (like Oregon or Alaska). 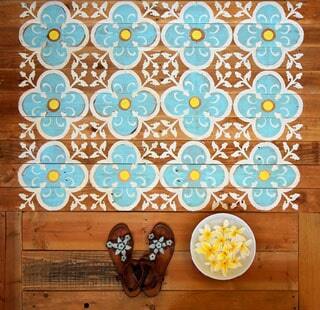 Making these simple material household items looks so appealing. Great patio set! I really like the idea using a box of rocks. 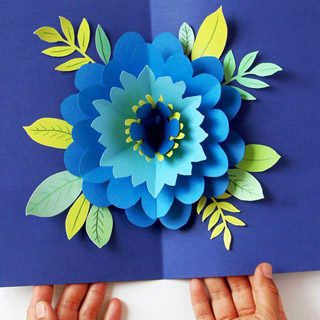 It’s very beautiful, creative and easy to make. This seems to be a perfect patio set for RV or off-grid tiny house living. Thanks for sharing your inspiring project. What a great job!!! It looks so beautiful and creative. I loved it. Thanks for sharing. This looks just perfect for my garden lawn. You have explained it so beautifully and in great detail. Guess I’ll have a great weekend preparing this. Few days ago i was trying to make Wood Bench but its was not good finishing now i have got some great idea about making some Pallet from your post buddy thanks for your post i am going to make it! 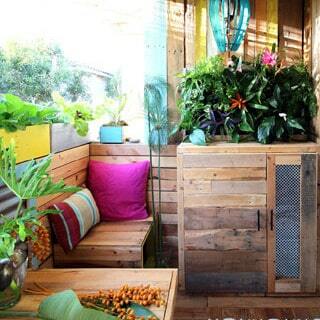 Liked the idea tropical PALLET outdoor room and preserving courage to do it myself at my own home. All credit goes to you. Thanks in advance. What a beautiful and creative thing you shows I am very impressed with your creativity. It’s so amazing! Thank you so much for the tutorial! Looks like the table and bench I need for the backyard. Excellent! How could you fin this Gabion? I’ve had such a hard time finding any that aren’t from specialty stores online and are crazy expensive. Great post Ananda! Keep up with the good work. This is certainly one of the best DIY sites. One of the best DIY I have ever seen. Thanks for the idea pal.. This article is so cool – my company sells gabions in different sizes and this is a very nice example of the countless design possibilities they have. Therefore this is a very interesting post for our customers. Do you allow me to use the pictures and translate the post into german making it easier to understand for our customers? hi tom, we only allow use of one photo and a summary with a link back. thanks! Very useful info particularly the remaining part 🙂 I deal with such info a Lot. I was looking for this particular info for a very lengthy time. It was great piece of information. 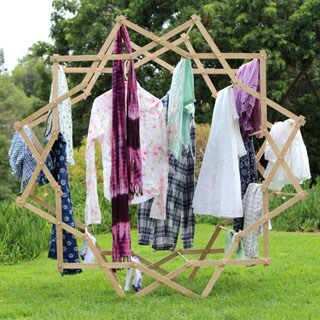 Was looking for something to build myself to spare my time in backyard to create something worthwhile and beautiful. It definitely gonna help. Thank you very much. 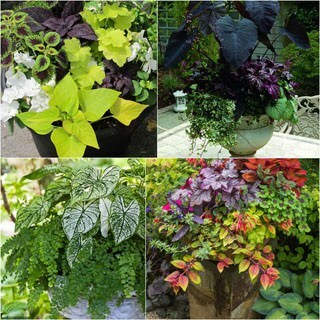 Great post Ananda …I am looking to create my coffee table…your post really helps thanks you 🙂 bookmarked your site you have great DIY tips. Nice work Ananda .Thanks for the share. Keep up writing so that we can get more informative blogs like this one. Many of us either have pallets lying around or can get hold of them from the many businesses that are only to happy to get rid of them. This can be a great source of cheap lumber for construction. But cheap can also be good build quality with a little planning. 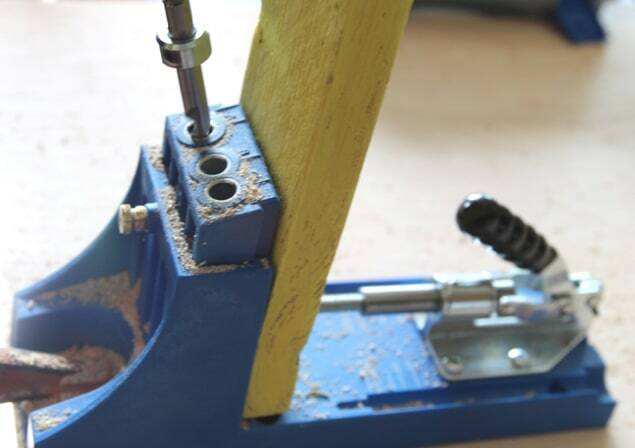 Great post, the KREG pocket screw jig was the best thing I ever bought. Great for building racks and tables, a little bit of wood putty to cover up the holes, light sanding, and some paint and nobody can see a thing.